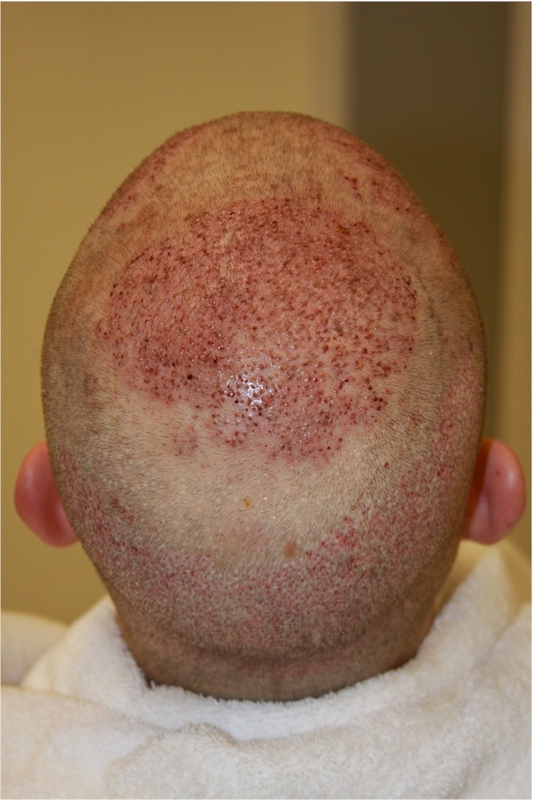 Hi guys, Before Armani I had a mediocre 1,700 FUSS procedure in Los Angeles. Afterwards I had a 4000 FUE with Armani, and this is my third procedure comprised of 2436 FUE with him. I had about 500 on each side of the hairline to add a little more density. And the remaining 1400 grafts are covering zones 4 and into 3. Alltogether I’ve had 8,100 grafts done. Dr. Armani said that this will keep me covered for a long time, but my donor hair is good and should i need a fourth procedure I will be able to have it. 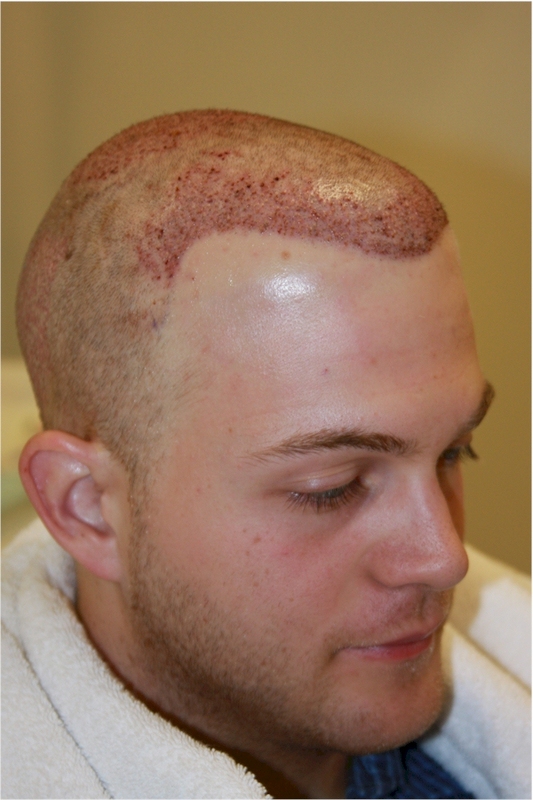 Similar to Ernst who managed to pull 10,000 grafts, Dr. Armani should be able to do the same for me. I feel extremely excited and content and know that I am in very good hands for the future. If you have any questions or comments please feel free and ask me. hope all goes well for you. i did see your other pics afrer the 4000 fue and did think you would benifit from more density in the hairline. what date did you have this done? hey eurohair, how old are you and are you on meds? front and i certainly got it. I had this done december 9th, 2009. I’m 25 in February. I didn’t respond well to propecia, but am taking Dr. Armani’s Origenere supplement which contains saw palmetto and also reduces DHT. i see some white dots in places where that day’s extraction doesnt appear to be taken from. dreamster i believe that those white spots come out due to the anesthetic which was being used. Even though hair wasn’t extracted from them I believe that the anesthetic made the pigmentation swell up a little bit. That is my belief. » I’m 25 in February. 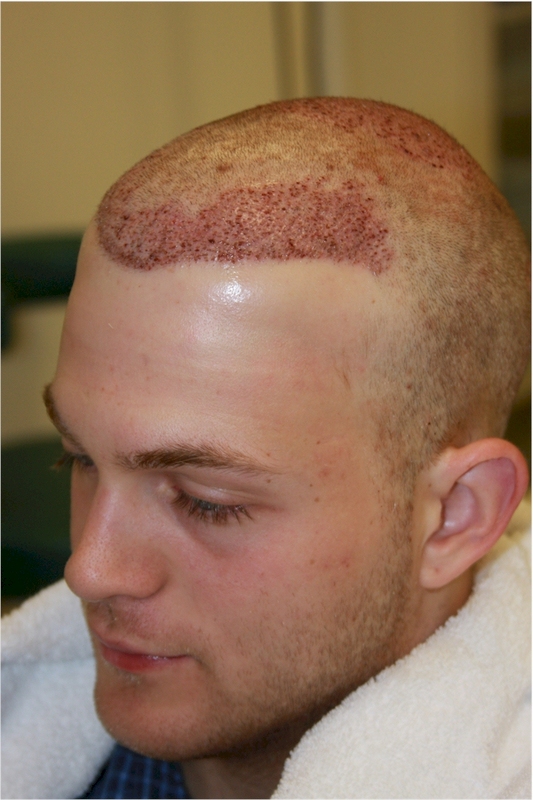 I didn’t respond well to propecia, but am taking Dr.
Hey, have you tried Propecia with an L-Lysine supplement? It is supposed to increase the effectiveness of the pill. For me personally, I take so many supplements that I don’t know which single one is responsible, and I’m too afraid to take one out. I do know that when I just did saw palmetto, I had a lot of shedding, and it has stopped since I began L-Lysine with propecia (as well as a lot more). I’ve never tried that Bucket, but thanks for the suggestion.I’ve gotten great results from the origenere multi vitamin. It has saw palmetto, vitamin E, and MSM as well. I’m not too familiar with lysine. Eurohair how are you healing?? Thanks for asking. I’m doing really well. I’m about 2 weeks post op, and both my donor area as well as the grafted area are doing really well. Regarding the grafts, they are scabing up really well, and are very firm. My donor area is in a lot better shape than i thought it would be after undergoing my third procedure. The fucidin cream helps immensely, and I’m extremely happy because should I need another procedure down the road it looks as if I won’t have a problem undergoing it. 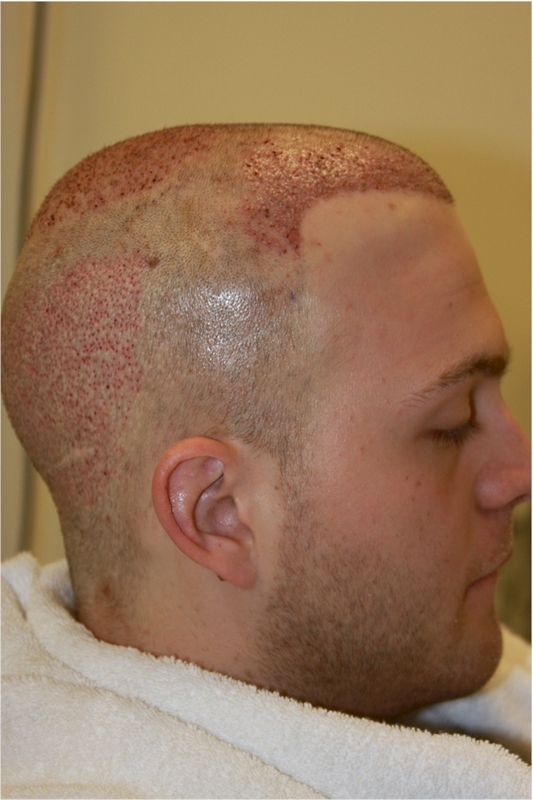 As seen on this pic, the taken transplanted hair start JUST below the thinning zone in the crown. As far as I know you’re not on propecia (and let’s be honest, I doubt that the supplement you’re taking will stop hairloss). Given the fact you’re still pretty young (and not on propecia), aren’t you afraid that the first transplanted hairs gonna fall out in the next 3-4 years? No, i’m not concerned. I’m taking saw palmetto, I didn’t respond very well to propecia. The hairs that were transplanted are not going to fall out. I’ve gone pretty much over everything with Dr. Armani and he and I have made a plan which I feel pretty good about. » to propecia. The hairs that were transplanted are not going to fall out. » made a plan which I feel pretty good about. How do you know it’s not gonna fall out? Please be specific. Do you think that supplement will stop your hair loss? There is no certain line were hairs stop balding. As you can tell in the picture my crown has allready started to thin out considerably. The vitamin which i take is the origenere multi vitamin and it was strongly recommended for me to take. It contains saw palmetto, and he said it will definitely help me. I’ve tried propecia several times amsch and I did not respond well to it both times, so it’s not like I haven’t tried it. I understand your questions, but the surgeries and the saw palmetto multi vitamin along with minoxidil are my best options right now. » palmetto multi vitamin along with minoxidil are my best options right now. Hey, I’m also a young guy (23) who has had a HT. Like you mine was done before my hair got really bad. This means that, unmedicated, we still could lose a lot (as you already grasp from what you have written). Saw palmetto did nothing for me. It’s just a milder propeica. If propeica doesn’t work, saw palmetto probably won’t either, no matter how strongly he recommends it. 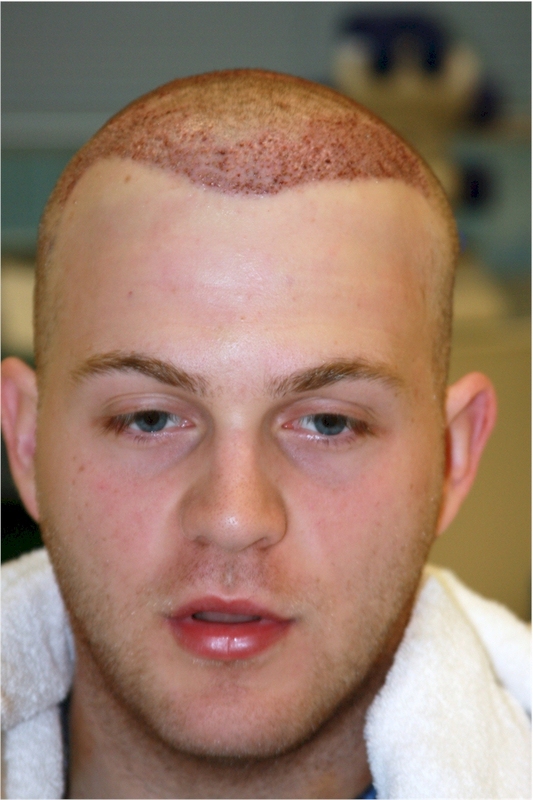 When I was taking Propecia and Saw together, I could shed 100+ hairs rubbing my head a few minutes. I started taking curcumin/resveratrol and CoQ10. Now in a few minutes I can get usually 0, sometimes up to three hairs to shed. Read my post in the supplements section called “I highly recomend these supplements” if you want to know more.